It's best to wear layers that can be removed if you become too warm while riding your snowmobile. 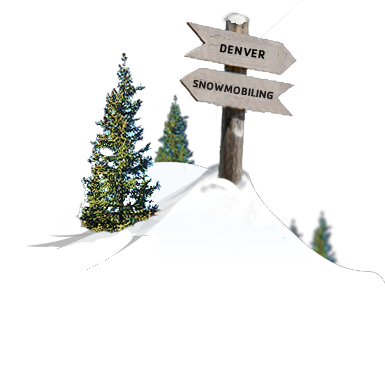 Families, Individuals, and groups can explore Colorado’s most dramatic scenery on snowmobiles with our Prospector Denver Snowmobiling Tours. People who prefer to “double up” and ride two per sled will enjoy the Prospector Tour as it is popular with first time snowmobilers and families with young children. Your tour starts with an instructional briefing on the operation of your machine, followed by a few laps on a practice track to become familiarized with its handling. 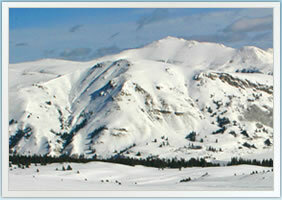 Snowmobilers then begin the ride through a forested trail system that opens up above treeline to stunning views of Mt. Massive and Mt. Elbert, two of the highest peaks in Colorado. You'll enjoy true backcountry riding above treeline through meadows and open bowls on the Continental Divide. Child size snowmobiles are provided free of charge, and here small children can try out Denver Snowmobiling for themselves. There is an on site professional photographer as well. The Prospector Tour tops out at Chicago Ridge at an elevation of 12,500 feet above sea level. The tour then descends down to an old miner’s cabin where guests can warm up with steamy cups of hot chocolate. The Prospector Snowmobile Tour is two hours in length and is offered at 9:00 am, 12:00 pm, and 3:00 pm. Complimentary transportation is available on all tours. The corresponding pick up times are one hour and fifteen minutes prior to tour start times. Complimentary transportation is offered from the towns of Breckenridge, Copper Mountain, Vail, Beaver Creek, Avon, Frisco, Dillon, and Silverthorne, Colorado. 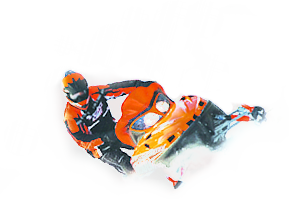 To book your Breckenridge Snowmobiling Adventure contact us toll free at 1.866.998.0696 or locally at 970.455.4040. 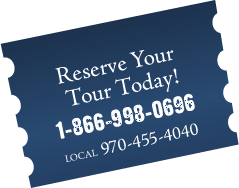 A credit card imprint, serving as a damage deposit, is required on all Breckenridge Snowmobile Tours.